I use it to press butter out of a vegetable substance and have twice pressed the screen right out of its frame. If the screen were held in more tightly I would give it another star. The screen itself is excellent because it doesn't deform when I force it out of the frame. If you use it to strain something fine, like loose ground tea, little pieces of the tea get stuck between the screen and the frame are difficult to get out, even under running water. It fits over the opening of a standard porcelain teapot like it was made for it and it balances well on a Pyrex 1 cup measuring cup. It has nicely finished smooth edges. Kitchen Goods, a unit of Dominant Systems Corporation, uses sophisticated crawler software to search the web looking for great product deals online. For this page, related items include products we find that match the following keywords: "Strainer" at our vendor partner Walmart - Click More Info / Buy Now to check for price rollbacks!. 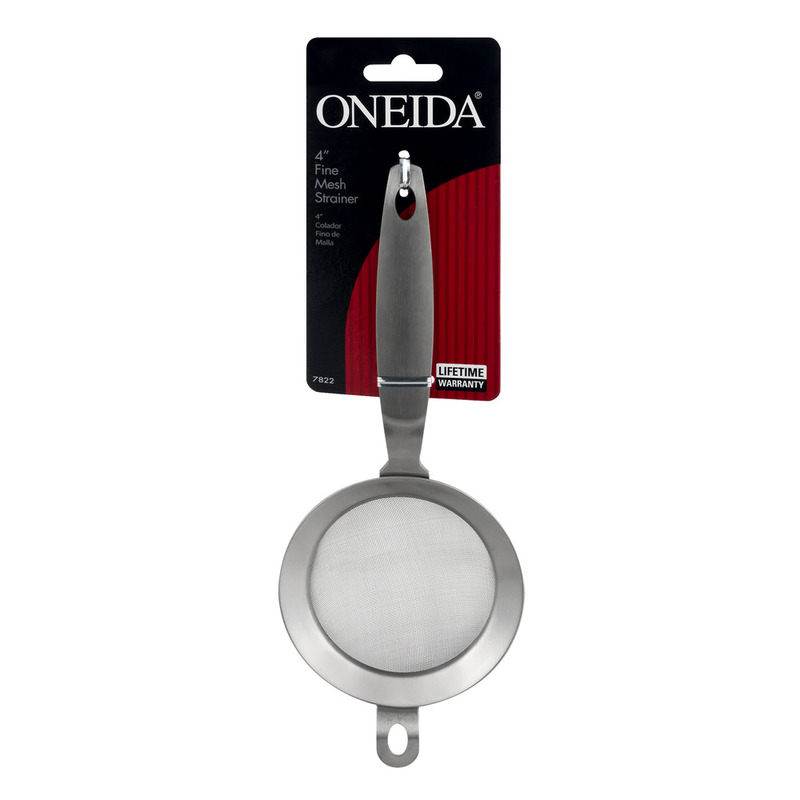 Oneida 4" Mesh Strainer is one of 99 Strainers and related products available for sale through Kitchengoods.com, If you have any questions on this product, please give us a call at 734-971-1210 during the hours of 9am - 5pm EST for assistance. Thank you for shopping at Kitchen Goods, your place for kitchen gadgets, and more!